January 2017 | Florida Law Advisers, P.A. Have you filed bankruptcy in the past and find yourself in a situation where you need to file again? It is not uncommon to inquire how soon can I file Chapter 7 again. In fact, bankruptcy law does allow for repeat bankruptcy filings. However, there may be waiting periods before you become eligible to file bankruptcy again. If you need to find out how soon can I file Chapter 7 again contact a bankruptcy attorney in Tampa for assistance. Many bankruptcy law firms in Tampa will offer a free initial consultation. 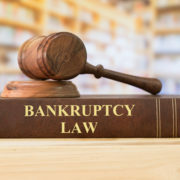 If you previously filed Chapter 7 and now want to petition for bankruptcy again, you must wait 8 years from the commencement date of your previous case. See Bankruptcy law 11 U.S.C. § 727. However, determining how soon can I file Chapter 7 is not that straight forward. For instance, “Commencement date” is the day you filed your bankruptcy petition with the court. For example, if you previously filed on October 1, 2008, then you would have to wait until October 1, 2016, or later to file your new petition. If you previously petitioned for Chapter 13 and now want to know how soon can I file Chapter 7 again, you will likely have wait 6 years from the commencement date of your previous case before you can submit another case. See bankruptcy law 11 U.S.C. 727. The same date calculation applies as described in the paragraph above. There is an exception to this situation, though: if you paid your previous Chapter 13 payment plan in full, or you paid 70% of your payment plan in good faith and with your best effort to complete the plan, then you do not have to wait at all to file again. Most often, a bankruptcy lawyer can help you determine how long you have to wait to file bankruptcy again during an initial consultation. If you are having a difficult time meeting your financial obligations Florida Law Advisers, P.A. may be able to help. Florida Law Advisers, P.A. is a customer service oriented firm committed to providing personalized attention and dedicated legal counsel. Our Tampa bankruptcy lawyers have years of experience with helping clients file Chapter 7 again. For a free, initial consultation contact us today at 800 990 7763 or complete the free case review inquiry. Chapter 13 is a restructuring bankruptcy because the borrower make payments to their creditors according to a court approved plan. It is intended to help borrowers catch up on secured debt, such as a car loan or home mortgage. With Chapter 13 bankruptcy, you can lower payments, prevent foreclosure, eliminate debt, and stop a car from being repossessed. How Chapter 13 payments are calculated will depend on the specifics of each case. For more information on the possible advantages and disadvantages of Chapter 13 contact a Tampa bankruptcy attorney. Many bankruptcy law firms will offer a free consultation to assist prospective clients. The payment plan outlines how the income the borrower receives will be used to pay off the debts owed. The payment plan is how Chapter 13 payments are calculated. Once the payment plan is confirmed by the court it will bind the debtor and each creditor included in the bankruptcy. 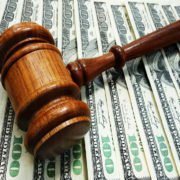 A debtor should always seek the aid of a Tampa bankruptcy attorney when submitting a payment plan. An unsatisfactory payment plan can cause delays and unnecessary hardship for a debtor. Additionally, a borrower may end up paying more than they should have if the payment plan is not properly drafted. For instance, your creditors should not be paid more than they would have if you filed Chapter 7. Thus, it is highly recommended to consult with a bankruptcy lawyer if you have questions on how Chapter 13 payments are calculated. The Chapter 13 repayment plan can last anywhere from three-to-five years. The Bankruptcy Code provides that if your income is less than the state average income, then you will be in a three-year repayment plan; however, the court can extend your plan up to 5 years if you show that you cannot afford those three-year monthly payments. See Bankruptcy Law 11 U.S.C. §§ 1322. Extending to a five-year plan would not necessarily result in you paying back more money to your creditors; it would just be stretching out your payments in order to make the monthly amount cheaper. If your income is more than the state average income, you must be in a five-year repayment plan. A bankruptcy lawyer can provide more information on which type of payment plan may be required in your case. You should consult with a bankruptcy lawyer before filing for Chapter 13. You cannot modify your payment plan any further in order to make your payments feasible. See Bankruptcy Law 11 U.S.C. § 1328(b). If you cannot complete your Chapter 13 payment plan, you can still get a discharge, as long as the above three elements are met. However, you will receive a Chapter 7 discharge, not a Chapter 13 discharge. This would affect the waiting period to file bankruptcy again in the future. If you need information on how Chapter 13 payments are calculated contact us to schedule a free case review with an attorney. A Tampa bankruptcy lawyer at our firm can answer your questions and provide trusted legal advice. Florida Law Advisers, P.A. 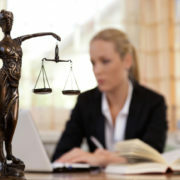 is a customer-service oriented firm with a strong reputation for providing personalized attention and dedicated legal counsel. For a free initial consultation contact us today at 800 990 7763 or complete the free case review inquiry. Child support can be established based on a case with the Department of Revenue or as part of a Divorce. Regardless of the avenue which established child support, there may be ways how to lower child support in Florida. To see if you qualify for a reduction in child support contact a family law attorney. Conversely, a family law firm in Tampa can also assist with preventing the other parent from lowering child support. The same issues when establishing child support will be at the center in a case for modification of child support. Therefore, unless something has changed, your child support payments will not change. In fact, in order to even qualify for a modification, you must prove a “substantial change in circumstances” since the last order was issued. See Florida Statutes 61.30. The judge will only be concerned with changes that occurred after the prior case. Issues which arose prior to the initial case will usually not be considered for modifications. Even if there are facts that were not discussed in the prior case. Typically, judges will only be interested in the changes since the last order was issued. Thus, when trying to figure out how to lower child support in Florida you should focus on events that occurred recently and after the prior case. An experienced family law attorney in Tampa can help you determine which evidence may be helpful and how to lower child support in Florida. If either parent has had a significant increase or significant decrease in income, this will affect the child support calculation based on the Florida Child Support Guidelines. Even if you have had a decrease in income, that does not automatically mean your support payments will decrease. For instance, the opposing party may have also had a decrease in income, and that decrease may or may not be more significant than yours. Thus, it is recommended to discuss all the facts of the case with an attorney before filing for modification. A thorough review will likely be necessary to develop a plan on how to lower child support in Florida. Another way that child support payments may increase or decrease is if the time-sharing arrangement between you and the other parent changes. See Florida Court of Appeals case Bloom v. Panchysyn. Generally, the more time a parent spends with the child the lower their child support payments will be. However, child-support should be considered an effect of time-sharing rather than the other way around. To establish a change to the time-sharing arrangement, you will need to show not only a substantial change in circumstances, but also that the change is in the best interest of the child or children. Trying to determine how to lower child support in Florida can be a difficult task. To best know your rights and responsibilities as well as options, consult with a family law attorney experienced with child support law and with modification cases. The family law attorneys at Florida Law Advisers, P.A. have years of experience in both advocating for and against modifications. 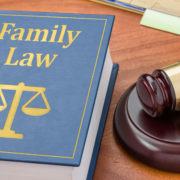 Our attorneys know what factors are important to Florida family law judges and can competently advocate for our client’s rights. If you would like to speak with a family law attorney at our firm callus today at 800 990 7763. Our initial consultation is free of charge and requires no commitment. Under Florida law, there is a presumption that a married couple are the parents of children born during the marriage. Florida law creates a presumption the husband of the mother is the father of the children born during the marriage. See child custody case O’Bryan v. Doe. The presumption means that without evidence to the contrary, the judge and law will assume the husband is the child’s father. This can be problematic, as the husband will not always be the biological father. Thus, in many cases, clients need to know how to contest paternity in Florida. Typically, the best way to resolve the issue of how to contest paternity in Florida is to contact a child custody lawyer for assistance. Many child custody law firm in Tampa and schedule a consultation for these types of situations. If filing for divorce, you may be able to efficiently resolve the issue of how to contest paternity in Florida. If a divorce is filed, include a disestablishment of paternity count. So long as the husband is personally served and does not object to this allegation, the judge may enter a final judgement stating that the parties are divorced and that the (now ex-) husband is not the legal or biological father of the children at issue. This route will likely be one of the easiest means to resolve the paternity issue. If the husband objects and wants to state that he is, in fact, the child or children’s father, it becomes very difficult to overcome the legal presumption that the husband is the legal father. See Florida paternity case Parker v. Parker. An experienced child custody attorney can help you navigate these waters. Each paternity case is decided on a case-by-case basisis and outcomes by judges vary. If you are involved in a custody or divorce case where you need help on how to contest paternity in Florida contact a child custody attorney in Tampa for assistance. Under Florida paternity law, there is a method of accomplishing a disestablishment of paternity for children conceived during the marriage. A male who does not think that he is the father of a child and needs to know how to contest paternity in Florida should consider filing a petition to disestablish paternity. The court will need that male to show newly discovered evidence; separately, scientific evidence (a DNA test); and sign an affidavit that alleges the specific facts which would suggest he is not the father of the child or children in question. See Florida Statute 742.18. Florida law on disestablishment of paternity does not afford the same rights to the mother. Courts are very wary to change the familial situation of minor children. Usually, no matter who is making the claim, a child custody attorney should be consulted in matters where you need assistance on how to contest paternity in Florida. If you need to establish or disestablish paternity call us today to speak with a child custody attorney. At Florida Law Advisers, we take these matters very seriously and will stand firm for what is fair. To speak with a family law attorney at our firm call us today at 800 990 7763. Many families have pets, who are loved and treated like members of the family. Often, clients wonder how are pets handled in a divorce case. The answer to how are pets handled in a divorce may surprise you. Under Florida divorce law, the court will not allow for any time-sharing orders. Thus, if a couple wants to share custody of the pet they have to work out themselves. A Florida family law judge cannot order the couple to share custody of a pet as if the pets were children. See Florida divorce case Bennett v. Bennett. This is because Florida law views pets as property, and applies Florida property law, not custody law. If you are considering filing for divorce contact a divorce attorney in Tampa for a consultation. Careful planning and solid legal advice can be a tremendous help when facing divorce. How are Pets Handled in a Divorce based on Florida Property Law? How are pets handled in a divorce will depend on the specific facts and circumstances of each case. However, under Florida divorce law, there will not be timesharing. Instead, one of the parties will have sole ownership of the pet. If the party with sole ownership decides to share time with the pets, it will be at his or her own discretion. The judge will have to treat the pet as it would any other form of property in a divorce. The method that Florida has for distributing assets in a divorce in a divorce is referred to as equitable distribution. See Florida divorce statute 61.075. Since pets are treated as property in divorce cases, equitable distribution will be applied. For more information on how are pets handled in a divorce under Florida divorce law contact a divorce lawyer for assistance. In many cases, it is best to reach to an agreement without the necessity for litigation in court. However, if the couple is unable to come to an agreement, the judge will decide possession of the pets by applying Florida’s equitable distribution standard. Click here for more information on equitable distribution. If there are children involved sometimes a judge will choose to keep the pets with the custodial parent to maintain some stability for the children. How are Pets Handled in a Divorce if Only One Spouse Owns the Pet? Only marital property is subject to equitable distribution, separate property will remain the property of the spouse who acquired it. 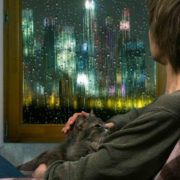 Thus, how are pets handled in a divorce will largely depend on whether or not the pet is marital or separate property. For instance, if a spouse acquired the pet prior to the marriage than the pet may be treated as separate property. If the pet is treated as separate property it will not be subject to equitable distribution. Additionally, a pet can be separate property is if the pet was a gift by someone other than the spouse. In order to be a gift, the pet must be a gift specifically for one spouse and not the other. Gifts just can be treated as separate property in a divorce, even if the gift was received after the marriage. Determining which property is subject to equitable distribution can be difficult, if you need assistance contact a divorce attorney for legal advice. A divorce case requires a lot of negotiation and a skilled divorce lawyer can use negotiation tactics to help a client acquire the pets in a divorce. Many divorce law firms in Tampa will offer a free consultation for prospective clients. Thus, it may be a good idea to contact a divorce lawyer in Tampa and schedule a free consultation for more information about a specific case. Careful planning and good negotiation tactics can impact the issue of how are pets handled in a divorce. If you need to file for divorce but are concerned about keeping your pets call us to speak with a divorce attorney in Tampa. Our divorce lawyers have years of experience helping people in these important matters. Every divorce is different, and our vast experience allows us to cater our services to each client’s individual situation. Whether you agree to the terms of a divorce or are engaged in litigation, Florida Law Advisers can help. We are available 24 hours a day, 7 days a week and offer a free initial consultation. Call us today at 800 990 7763 to speak with a divorce attorney in Tampa. https://www.floridalegaladvice.com/wp-content/uploads/2017/05/pet-divorce.jpg 450 600 Florida Law Advisers https://www.floridalegaladvice.com/wp-content/uploads/2017/05/logo2.png Florida Law Advisers2017-01-16 13:36:532019-03-25 16:17:21How are Pets Handled in a Divorce?